Date: April 25, 2018 Time: 11:30-12:00 a.m.
What happens at the intersection of Recruiting Technology, Artificial Intelligence and Big Data? Is it true that “everything that can be automated, will be automated”? Michael Lazik, VP DACH of SmartRecruiters, shares insights on the latest advances in recruitment technology. He will be tackling the question of whether an AI-powered acceleration in talent discovery and matching will result in more human, diverse recruitment processes or kill recruitment as a business function. Michael Lazik has been responsible for SmartRecruiters’ growth in the DACH region since April 2017. 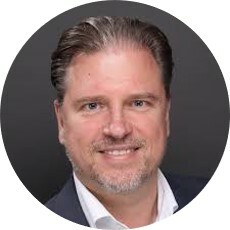 Before joining SmartRecruiters as VP DACH, he has been in leading functions of management for several international Talent Acquisition Suite providers, managing teams in Scandinavia, the UK and the DACH region. SmartRecruiters’ Talent Acquisition Suite is used by high-performance organizations who want to make recruitment a competitive advantage. SmartRecruiters provides an amazing candidate experience, engages hiring managers in a collaborative hiring process, and empowers recruiters with compliant tools to run the recruitment process. For more information, please visit https://www.smartrecruiters.com .